Welcome to Country Waggin Resort and Grooming, Alta Loma's premier dog grooming and dog boarding facility. Country Waggin Resort and Grooming makes your pet feel at home with our friendly service and award winning attitude. Hello, my name is Denise Martinez. I have been in the animal industry since 1999. And I managed Country Waggin for 2 years before I took over the business as the new owner. After attending an accredited grooming school and 3 years in a RVT program at Mt. San Antonio College I worked as a Vet Tech for 6 years. I have spent another 6 years working in dog kennels and grooming facilities. My staff and I have dedicated our lifes work to the health and care of animals. We are very passionate about our work and will care for your pet as if they were our own. Here at Country Waggin we will continue to provide excellent service to you and your pet. The staff is always kept up to date in the grooming and kennel industry by attending trade shows and seminars yearly. Country Waggin Resort and Grooming has become one of the leading Groom shop and dog boarding facilities in the Inland Empire. The reason for our success is due to our policy of never forcing grooming on a pet that is not comfortable and providing excellent customer service to our valued customers. We are one of the few shops that allow the owner to stay with their pet during the grooming process if needed. We have put together an interesting and informative web site for you. Take your time and look around. We discuss dog breeds, from toy dog breeds that include the toy poodle, to the giants like the great dane. We have gathered a few homemade dog food recipes, so you can feed your dog the best dog food available. You can make a big batch of several of these dog food recipes and freeze the leftovers for convenience and to save time. 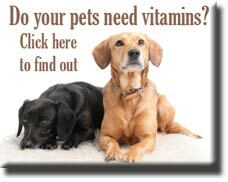 We have just added a line of pet vitamins. Good nutrition is vital to your pet's health. We have dog jokes and stories especially for dog lovers. 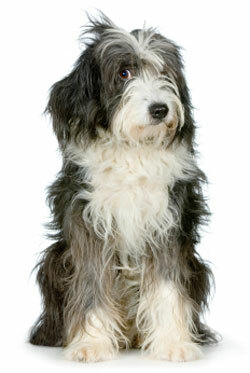 We even have pages that explain dog health and dog care. We talk about kennel cough, which can happen for various reasons when boarding your dog. There is a lot of great and useful information for dog owners on this site and we are glad you are here. Please don't hesitate to ask us questions using our Contact Us page. We would love to hear from you. Try NuVet Dog Vitamin supplements for your dog. The term Kennel Cough is the common name used for Canine Infectious Tracheobronchits. Here are some of the most common illnesses that your dog can have and what to do about it. One of the most important aspects of owning a dog is good dog health care. A healthy dog is a happy dog, which leads, in most cases, to a happy owner. Click here to learn the methods of getting rid of fleas and the answer to the question, "Can fleas live on people?" Interesting Dog Facts and facts about dogs. Dogs were domesticated from wolves at least 17,000 years ago, but maybe as early as 150,000 years ago. Clubs and Associations like the American Kennel Association and the American Kennel Club can be a large part of your life with your pet. There are an estimated 58 million dogs in the US, with over 700 dog breeds, with all these choices in dogs, which breed is the best for you? Looking for Dog Food Recipes? We have a few great ideas to get you started. Dogs need to eat healthy too. Why should we have all the fun? Great dog jokes for everyone. We try and keep it clean! Whether you use regular dog Groom Supplies, or plan on using Show Dog Grooming Supplies, there are hundreds of products on the market. Looking for dog names? Be careful, you will use their names almost 30,000 times in their lifetime…you want to pick the right one for your dog and you.